State tax issues are a different matter. 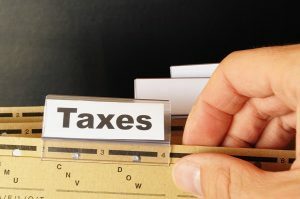 Although some attorneys are certified to practice in more than one state, it generally wouldn’t be in your best interests in any case to retain a tax lawyer in one state to handle State tax issues in another state. If you’re facing state tax liability, you need a lawyer completely familiar with the tax laws in that state. There are exceptions, though, where states have reciprocity agreements allowing lawyers from one state to practice in the other. California currently does not offer such reciprocity. The most important factor you should look for in a tax lawyer is experience dealing with the tax authority you have a dispute with and knowledge of your particular tax issue. For IRS tax problems, you should seek out an experienced federal tax attorney. If you have a specialized case involving criminal charges or offshore assets, make sure your attorney is familiar with these complex legal areas. A California tax law firm with a team of tax attorneys covering multiple taxing agencies can help you with your federal tax issues in any state, or with payroll, sales or income tax problems in the state of California. For federal or state tax help and representation for tax litigation in the state of California, contact the Brager Tax Law Group in Los Angeles. We are all former representatives for the Internal Revenue Service and offer the experience and knowledge of tax law to handle your tax problems. Call us at 1-800-380-TAX-LITIGATOR or contact us online.